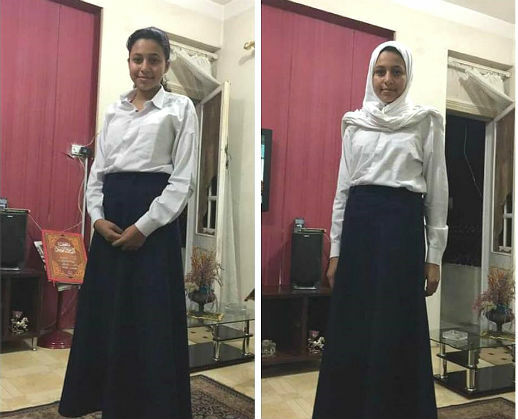 When 12-year-old Rahma Salem refused to wear a hijab to school in the Delta in northern Egypt, teachers ordered her to leave lesson after lesson and would not let her take part in any activity. “I was made to stand all alone in the school courtyard. The headmistress later came to me and said: ‘Here in school, you put on the headscarf. 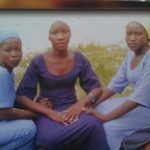 Outside, you may do as you wish.’ She thought I was a Christian,” said Rahma, the only girl – a Muslim – who dared to turn up to school with her hair uncovered. “No girl can show up with her hair showing. They all have to wear the hijab,” explained Salem to her interviewer on a talkshow on an independent satellite channel earlier this month, when asked if exceptions were made for Christian girls. Don’t you want your daughter to be decent? “Christian girls have to wear the hijab. As soon as the end-of-day bell rings, they start taking it off,” said Salem. Earlier, parents closed in on Salem’s mother on the first day of school at the Kafr el-Ashraf Preparatory. “I was shocked when other mothers stopped me at the gate. ‘What’s that? How can your daughter show up like this?’ I re-inspected my daughter’s uniform, and incredulously asked what was wrong. ‘Her head and neck have to be strictly covered! '” said the mothers, referring to the now-prevalent way Muslim women and girls dress, showing only their hands and face. 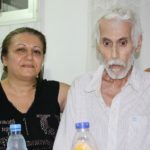 The Kafr el-Ashraf case is not isolated. A number of parents across the country have reported rising intolerance towards pupils who do not wish to wear the veil, and bullying of non-Muslim children by teachers and by pupils who follow their lead. On 18 October, Coptic newspaper Watani reported that another state school in the same province, Sharqia, was forcing all female students to wear a hijab. 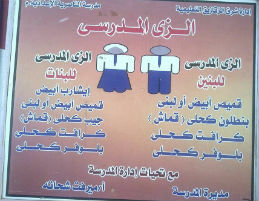 The director of al-Nassiriya School in Zagazig posted a large sign mandating Islamic dress on all girls as part of the school uniform. Here in school, you put on the headscarf. Outside, you may do as you wish. For years, Christians have complained of harassment in classrooms. Some of their complaints relate to government policy, such as having to memorise parts of the Qur’an to pass mandatory Arabic exams. Others are a result of an ever-growing societal pressure. 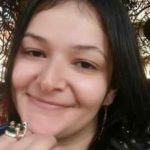 Salem’s mother said her daughter has been subjected to “huge psychological pressure”. “The other girls themselves give her nasty looks. They look her up and down, and ostracise her,” she said. It is telling that the only pupil who dared raise the issue, 12-year-old Rahma, was a Muslim. Students from Egypt’s Christian minority are in an even weaker position than Muslims to disobey the rules laid down by representatives of Islam and its votaries within society. Some Christian parents feel uncomfortable speaking to the mainstream media about their children’s troubles at school. Viola Samir, a seven-year-old Christian pupil at Kom el-Lufi Primary School in a village outside Samalout, in Minya province, 250km south of Cairo, told how the Islamic religious studies teacher had held eight Christian pupils in her class of 35 against their will, beating one who had not learnt the Qur’an by heart. Religious education is an obligatory subject in all Egyptian schools. Usually, Christian students leave the class to gather in another for their Christian religious education, while Muslims, being more numerous, stay in their classes for the weekly sessions. “The Christian religious studies teacher complained to the headmaster, but he took no disciplinary action against the Muslim teacher. In the end, the teacher allowed the Christian children to leave the class to join their Christian studies class,” Viola’s father added. Another parent said his son was caned for not reciting verses from the Qur’an. Abanob Milad, 11, a pupil at El-Galaa Primary School, also in Samalout. had complained many times that his Arabic teacher was hostile to the Christians in his class. 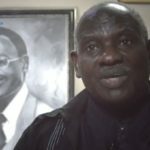 “Once, the teacher, Mohamed, caned Abanob on the back of his hands, afterwards forcing him to stand with his face to the board and both arms up in the air for the entire length of the lesson. My son had failed to repeat the Quranic text by heart when prompted to,” his father said. The children, those parents say, hate going to school. They are often absent due to the continued bullying by both teachers and other children. Another account of bullying was replicated in Mustapha Kamal Primary School in the village of Delga, near the city of Dayr Mawas, Minya, 320km south of Cairo. I feel such a link to this land. 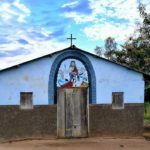 What goes on in the classroom is not detached from the wider atmosphere Christians face in a State that has repeatedly enshrined Islam as its official religion and Sharia as the source of its legislation, despite officially upholding freedom of belief. Since the 1970s Gulf oil-boom, many expatriates across the Middle East have returned home with a renewed zeal for “the faith”, having been told it was their duty to revive it in all quarters. Unlike in countries such as Syria and Iraq, where Christians have been forced to flee en masse or face the full force of the Islamic State, Egypt’s Copts have been able to live within a margin of tolerance, with only occasional attacks and official infringements. Some people now see this margin tightening. They fear that Egypt’s uneasy co-existence could shatter at any moment, mindful of the dozens of churches and Coptic properties that were attacked in the summer of 2013. Supporters of the former Islamist President Mohamed Morsi carried out the attacks after he was ousted following widespread protests. Only time will tell whether Kyrellos, Abanob and Viola share his loyalty to their country after experiencing hostility from its teachers at such a young age.